Ray City Home of Myrtle Hawk and W. R. McClure. 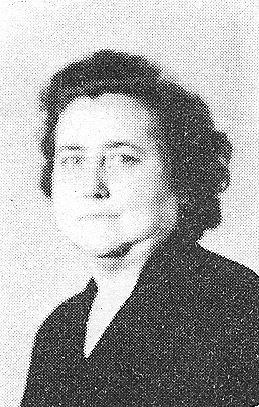 By 1945, William R. McClure, his wife Myrtle Hawk McClure, and daughters Reba and Sarah were living at Ray City, GA. W. R. McClure was employed as the principal at the Ray City School and Myrtle McClure, wife of W. R. McClure was a math teacher. In the photo above, the McClures pose in front of their car, apparently dressed for a social occasion. When teaching, Mrs. McClure normally wore a business suit with a high neck blouse. As school let out for the summer of 1947 W. R. McClure resigned his position as principal of the Ray City School to go into business for himself. The business, a bookkeeping service called “Mail-Me-Monday. Some time after 1950 the MClures moved to Valdosta where W. R. McClure continued his business. Reba McClure married J.I. Clements who went on to become a baseball coach at Georgia Southern University. Sarah became a bookkeeper in Valdosta. One of the historic businesses of Ray City, GA was a mail order accounting service called Mail-Me-Monday. 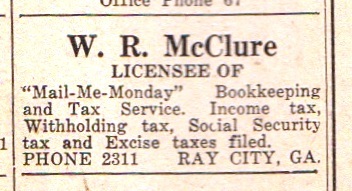 1948 Classified Ad for “Mail-Me-Monday”, Ray City, GA. The business was owned by W.R. McClure. The Mail-Me-Monday franchise in Ray City was owned by William R. “Mac” McClure. The business was located on the second floor over the Victory Soda Shop on Main Street. Mr. McClure served as principal of the Ray City School. His daughters were Reba and Sarah. Reba married J.I. Clements who went on to become a baseball coach at Georgia Southern University. Sarah became a bookkeeper in Valdosta. The McClures lived on the Teeterville Road, right on the edge of town. 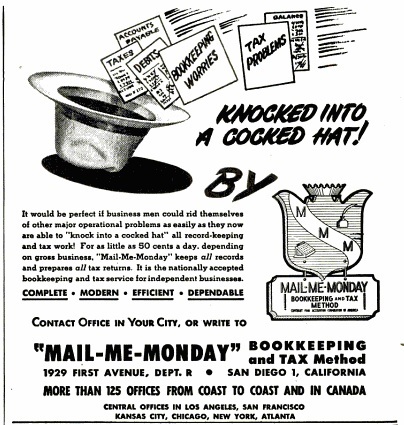 1947 advertisement for “Mail-Me-Monday” franchises.